Sunniva is spending CA$63 million in California to build a campus, depicted in this artist's rendition. A handful of Canadian marijuana companies are already knee-deep in California, deploying millions of dollars in cultivation facilities, retail outlets and branded products to establish a footprint in the world’s largest marijuana market. Rules that keep larger competitors listed on the Toronto Stock Exchange and the TSX Venture Exchange from doing business in the U.S. cannabis industry. Their own experience in doing business in a tightly regulated market such as Canada’s. CannaRoyalty is among those with an aggressive California strategy. Almost all the Ottawa company’s new capital is earmarked for the Golden State. “California is the market. You get it right there, you have the key to all other markets,” said Marc Lustig, CEO of CannaRoyalty, which invests in Canada and U.S.-based cannabis companies. CannaRoyalty (CSE: CRZ) has eight assets there involving distribution, manufacturing and branded products. Leith Pedersen, president and co-founder of Sunniva (CSE: SNN) – a vertically integrated medical marijuana company based in British Columbia – also is bullish on California. “Our interest in California stems from the fact that it is the largest cannabis market in the world – larger than Colorado, Washington and Oregon combined,” he said. His medical-focused company is building a 325,000-square-foot production facility in Cathedral City, in Southern California. When completed, it will have an annual capacity of 60,000 kilograms of dried flower. Hadley Ford, the CEO of iAnthus Capital Holdings, predicts California will be the epicenter of innovation and growth in the marijuana industry. He’s leveraging his company’s access to Canada’s capital markets to give it a leg up over U.S. competitors, which don’t have as big a funding pool to tap. “Our ability to access capital and use our stock to make acquisitions gives us a competitive advantage,” said Ford, whose New York-based marijuana investment and operations company trades on the CSE as IAN. iAnthus is one of a number of American businesses using holding companies in Canada to tap the capital markets. It has raised 57.2 million Canadian dollars ($45.6 million) in three transactions involving share offerings and private placements, but company executives have not yet spelled out how much could be utilized in California. Ford said he is still weighing opportunities there and intends to make a move, likely involving retail, later this year. Since going public, CannaRoyalty has raised CA$37 million in equity and debt, funneling about half of that into its California strategy. 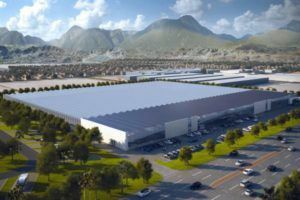 Sunniva, which went public last week, is deploying CA$63 million in California to build its production facility in Cathedral City. Toronto-headquartered Nutritional High International (CSE: EAT) – a maker of infused products – recently struck a deal to raise CA$10 million. The company plans to use an undisclosed amount of that total to provide funding to TKO Products, a California edibles maker. Nutritional High – which also has the option to buy a stake in TKO – said the funding will allow the company to complete its new production facility near Los Angeles. Ironically, U.S. prohibitions blocking the development of the cannabis industry on a national scale are shielding the country’s industry from competing against well-capitalized Canadian peers that trade on the Toronto Stock Exchange and the Venture Exchange. That means Canada’s cannabis behemoths, some sporting market caps north of CA$6 billion, won’t be competing in California anytime soon. That gives companies traded on the CSE – which allows listed companies to do business in the United States provided they meet certain risk disclosure requirements – a distinct advantage, at least for now. Last week, an umbrella group for Canada’s securities regulators said it would review those guidelines in light of Attorney General Jeff Sessions’ decision to revoke Obama-era protections for state-legal MJ businesses. Marapharm (CSE: MDM), a marijuana investment company based in British Columbia, also is among those using the CSE to be active in California. It recently bought a privately owned medical cannabis dispensary for $1.6 million (CA$2 million), adding to its assets in the Golden State. Meanwhile, Phivida Holdings (CSE: VIDA) of Vancouver, British Columbia, has a distribution and formulation agreement to provide pharmaceutical-grade cannabidiol in the state. Phivida markets CBD products. CannaRoyalty’s California expansion strategy has three components: distribution, manufacturing and branded products. 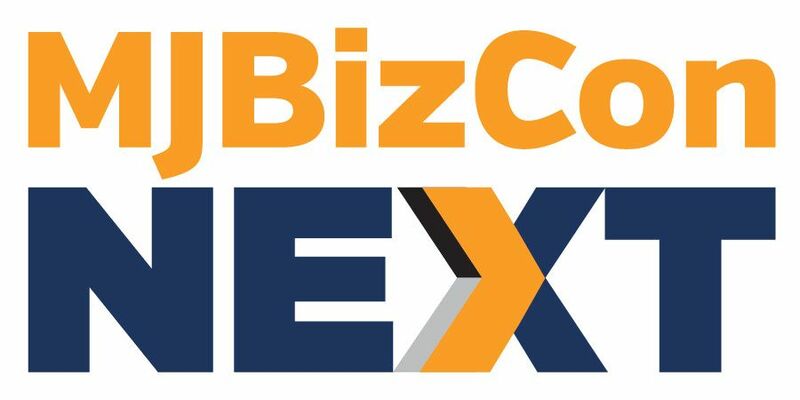 “We will continue to be razor focused on transactions that give us manufacturing, distribution and branded products in California,” Lustig said. Distribution was the impetus for CannaRoyalty’s CA$5 million investment in River, a California marijuana distributor that sells products to 800 dispensaries, Lustig said. The deal gave CannaRoyalty an undisclosed cut of River’s revenues. Moreover, it came with a “preferred” distribution agreement for CannaRoyalty’s own branded products: Green Rocks Botanicals, a cartridge line, and Soul Sugar Kitchen, an edibles line. The investment in River, plus CannaRoyalty’s planned acquisition of Alta Supply, increases its access to over 1,000 of California’s approximately 1,200 dispensaries. OK. My experience in B.C. was that Canadians do not like Americans. Especially from the Province of Ontario. I got nothing but shameful remarks that were complete buzz kills and down right depressing when all I did is try to help out in the cause. The people from B.C. province are very nice, but they are controlled by the Ontarians since they are the majority of the population.I would keep our money and investments in our own country. I live in Alberta not BC but I can speak to what your saying. A lot of western Canadians want nothing to do with eastern Canadians. I would vote to separate Canada and join the states and I know a lot of people that feel the same way. Don’t paint us with the same brush as the ignorant eastern Canadians. I think you should move to the US Ashley. You’ll fit right in with many ignorant Americans who don’t know how to spell YOU’RE either. We ignorant eastern Canadians would be happy to see you leave along with the, “lot of people you know”, that feel the same way as you do. But be careful, Trump might not want you. Would you be taking a job away from an American? Would you want your family to move to America too? Are you something other than white? Are you poor or middle class? If the answer to any of these questions is yes, Trump is not interested.